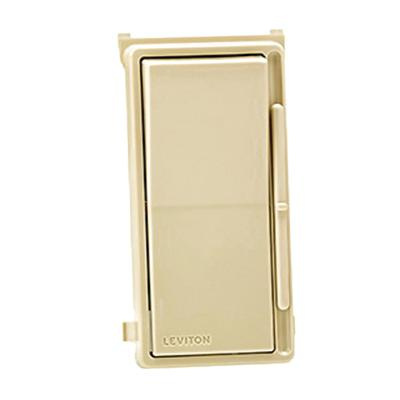 Leviton Decora® 3-Way Electro-mechanical dimmer in white/ivory/light almond color, has rocker actuator that returns light to your desired light level. Integrated linear full range slide control allows easy, precise operation. It has voltage rating of 120 - 277-Volt AC at 60-Hz. This 1-Pole dimmer works with 1200/1500 VA fluorescent and electronic 0 - 10-Volt DC fluorescent lamps. It has slim, compact housing that fits easily into standard wallbox. 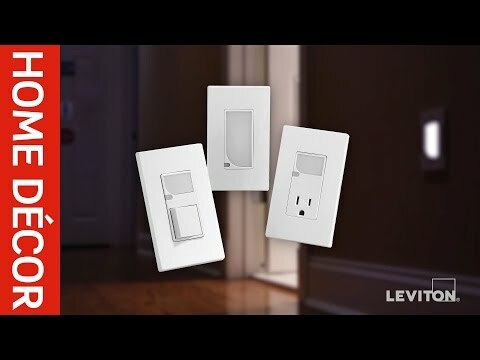 Dimmer has ON/OFF functionality. Dimmer measures 1.75-Inch x 4.13-Inch. It has built-in radio/TV interference filter. It operates at temperature range of 0 to 55 deg C. Dimmer is cCSAus listed and NOM certified.